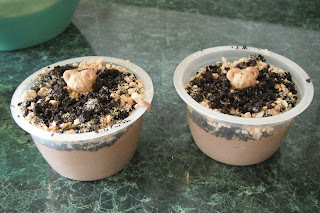 Use pudding snack cups or make your own and add your layers. First, crush oreos in a small baggy with a rolling pin. In a separate baggy crush graham crackers (or use some of the Teddy Grahams). I put my oreos on top first, but realized that the other layer blended with my groundhog too much. So, if you are using both crumbles, use your lighter one (graham cracker) first. Lightly spoon out the crumbles on top of the pudding. This is your dirt. The pudding is his burrow under ground. Now, stick a Teddy Graham in the middle of your dessert pushing him down until you just see his little head. From the head up he looks like a groundhog--right ? 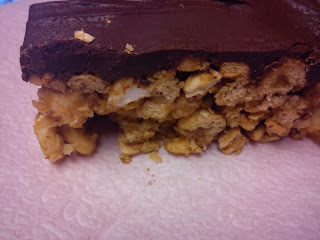 Well, my kids LOVED the snack, and I am sure yours will too. It is sweet and fun! 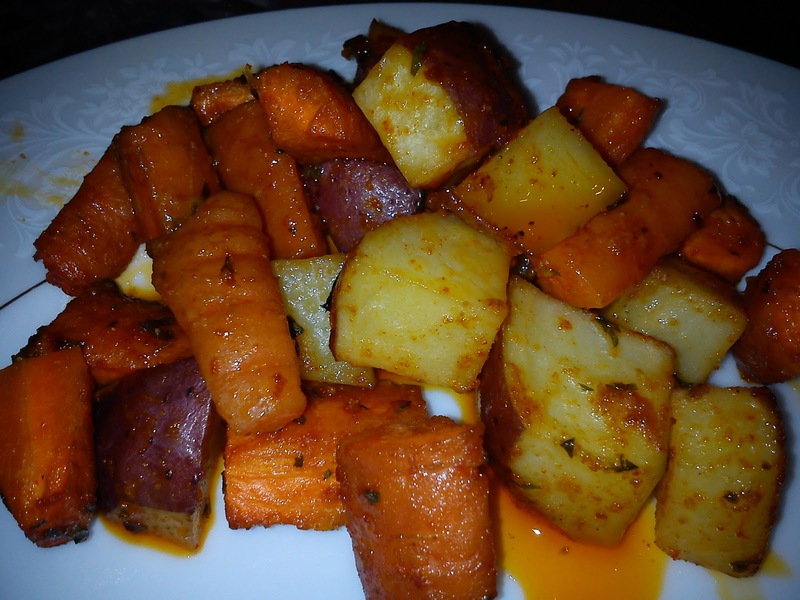 Combine the potatoes and carrots in a 9x13 baking dish. Toss with just enough oil to coat the vegetable but not pool in the bottom of the pan. Combine the seasonings and sprinkle over the vegetables. Stir well to coat. Bake at 350 for 40 - 50 minutes, uncovered, until tender, stirring twice during cooking. They are done when the potatoes are tender all the way through and the carrots are mostly tender but still firm in the center. Melt the chocolate chips and set aside. In a saucepan combine the honey and peanut butter until well blended and easy to stir. Stir in the vanilla and cook a few minutes longer. Remove from the heat. Toss everything else together in a large bowl. Drizzle with the honey sauce and stir well to combine everything. Press into a greased 13x 18 inch baking pan or a 9x13 and a 9x9. Press on the top so smooth everything out and compact. Spread with the chocolate and let set for 30 minutes. Combine the beef and steak seasoning and cook until browned. I liked the bigger hamburger pieces in there. broth, half-an-half, catchup, mustard, and onion powder. and at least half of the liquid is absorbed. Stir in the cheese and continue stirring until the cheese is melted. Who does not like Jello?? It is wiggly and jiggly and so very fun. 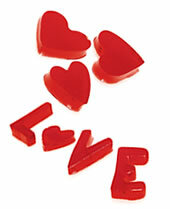 Based on this create a fun giggly valentine idea using Jello. Cut out hearts, and words like "I Love You"
Pour into 9 x 13-inch pan. Refrigerate at least 3 hr. or until firm. Dip bottom of pan into warm water about 15 sec. to loosen Jell-O Gelatin. This valentines day my daughter will be sharing it for the first time as a wife. So many firsts have happened this year and each of them touching and beautiful. One great idea to create and share with her husband is a remember the "Firsts" book that they can create together. Create an album of "firsts". Include the first time they met, dated, and all the firsts during the dating period. Then start with the wedding and continue on. It should be rather fun playing "do you remember"
Start with 1cuk milk. add up to to 2 cups milk to create a consistency of what you saw in the video. It will be a little thicker than pancake mix. Brown meat and drain. Stir in Macaroni, Cheese Sauce Mix, tomatoes, peas and milk. Bring to boil. Reduce heat to medium-low; cover. Simmer 12 min. or until macaroni is tender. Sprinkle with cheese. Let stand 5 min. or until cheese is melted. This dish has all the flavor of lasagna, but takes a fraction of the time to prepare and serves up like a casserole. Cook noodles in boiling water 5 minutes, omitting salt and fat. While noodles are cooking, combine ricotta, 1 cup provolone cheese, basil, oregano, salt, and pepper in a small bowl; set aside. 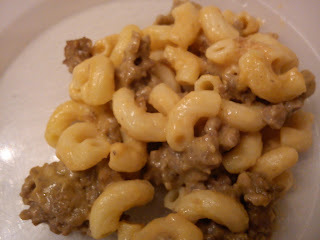 Cook beef in a large nonstick skillet over medium-high heat until browned, stirring to crumble. Stir in tomato sauce; remove from heat. Drain noodles. Combine noodles and meat mixture in large bowl. Place 3 cups noodle mixture in an 11 x 7-inch baking dish coated with cooking spray. Spread ricotta mixture over noodle mixture. Top with remaining noodle mixture; sprinkle with 1/2 cup provolone cheese. Bake at 375° for 15 minutes or until cheese melts. The Doomsday Clock was first introduced in 1947. It is not a clock like in the sense that keeps hours. seconds and minutes but rather it is a symbolic clock. The clock represents countdown to possible global catastrophe such as nuclear war or climate change. 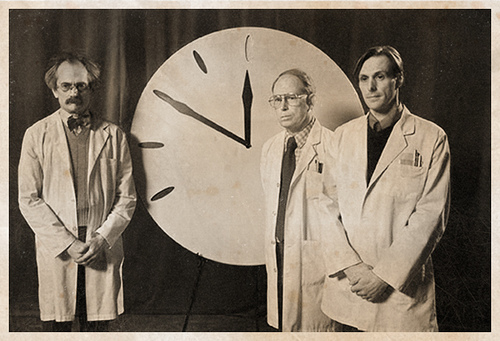 The members of the Science and Security Board of the Bulletin of the Atomic Scientists maintain and update the clock. The closer the clock gets to midnight, the closer scientist believe the world is getting to global disaster. The clock is located on the wall of the Bulletin's office in the University of Chicago. The clock first measured the threat of global nuclear war. Something that was true alert when I was a young kid. Since 2007 it also keeps tract of climate change. January 2015 saw the clock move to 3 minutes before midnight and in 2016 the clock holds the same time. The clock was introduced by the international group of researchers called the Chicago Atomic Scientists. Members had participated in the Manhattan Project. The group started sending out a newsletter following the atomic bombing of Hiroshima and Nagasaki. Later the group started sending out a bulletin. Since 1947 the clocks hands have bee reset twenty one times. The first setting of the clock was seven minutes til midnight. I grew up where the winter months doubled as soup months. The delicious aroma that would rise to meet you at the door when mom was in the kitchen cooking. The warm soup would fill us up and make us feel so warm inside. I will never forget those evenings in the winter time, the delicious soup and sandwich meals and later playing card games with the family. Yes those were some great memories. To a young girl growing up I never really understood how important those nights were. Now that I am grown with children and grandchildren of my own I know what those soup nights meant..... they meant love and family. Pour crackers in a large bowl. Mix the rest of the ingredients together and pour over crackers. Stir until well coated. Spread out onto 2 cookie sheets. Bake at 200° for 1 hour, stirring every 15 minutes. Cool. Store in an airtight container. Serve with soup or as a tasty appetizer. One of the chores I dread the most is grocery shopping. I know some may say that it is easier than other chores. To me though it is one that I dread and therefore have to be prepared to go when I have to. After all we have to eat and they all look to mom and nana when the groceries need to be bought. To make it a bit easier for me and where I can make the less trips I use the tool of meal planning. I shop between one to two times a week. The difference is normally the budget. I keep an ongoing list of what I have and what I need. I keep a list of meals ready at the whim with ingredients planned and listed. This will help me not have to continue to go back to store to get needed ingredients. The less trips the better for me and my wallet. Take some time sit down before going to shopping. If you have a busy life like my own then you may also want to grab the camera as you start planning. 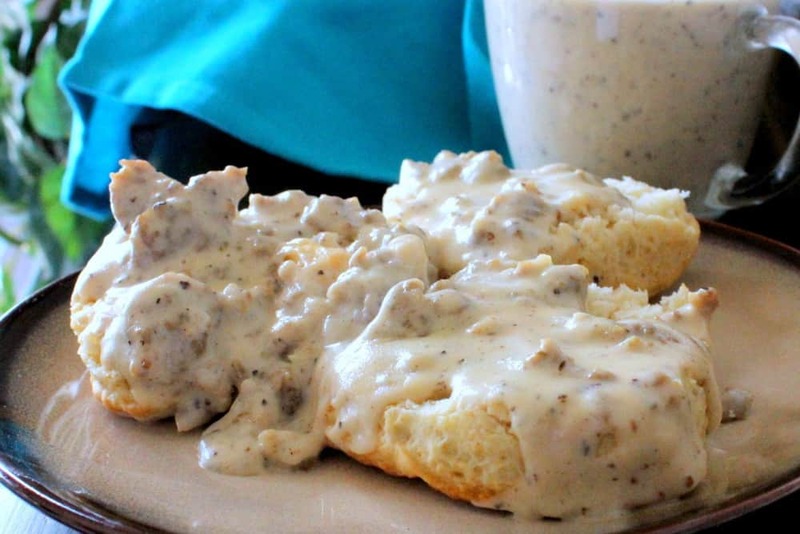 You will want to make a list of meals and what you will need to make those meals. The calendar comes in handy to plan the meals when all family will be there, guest will be there, you will be on the road or something quick as you wont have time to cook. Don't forget the side dishes that go with the entrée. They help to stretch the dinner and make it more homey as well. Keep in mind that there are some that take more time than others as well as some sides that will go better with some entrees than others will. There is more meals than the one that you enjoy as well. Whether your large meal is breakfast, lunch or dinner the others are still there as well. Keep them light or make them whole is your choice you know what your family likes and how your lifestyle goes. Snacks and desserts are things to keep in mind as well. We work in this house and come home hungry many times. The kids are normally next to starvation (or so they think) when they get home as well. You know your choices simply include them on the shopping list so you have them ready and waiting. What's your plan for shopping and meal planning? Feel free to leave a comment letting me know what works for you! 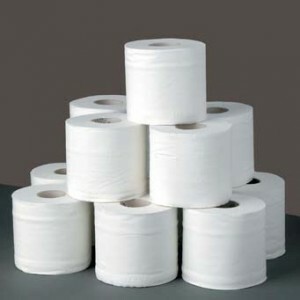 You know, I liked shopping a lot better when there were four choices of toilet paper...Charmin, Northern, Scott, Store Brand. I mean, really, who needs an entire aisle devoted to toilet paper? Today's choices include super-soft, double-roll, 12-packs, 6-pack double rolls, 12-pack double rolls, two-ply, one-ply, you-name-it-they-got-it. Weirdly, the 12-pack doesn't seem to last as long as the old standard four-pack. Or is it just us at our house, over-doing the necessities of life? Take a look at the size of the cardboard roll. I swear it's much larger in diameter than the oldies. That means less paper. And take a look at the width? I swear it's not as wide as it used to be. Wish I could find me some old-fashioned tissue and just measure. I don't remember having to buy toilet paper as often in years past. A four-pack would last quite awhile. Or maybe we weren't wiping our butts much in those days. But I THINK we did. I don't remember ever NOT doing that. Oh, hey, our grocery store now and then has a coupon in their ad for a 69-cent toilet paper. It comes in a four-pack and I kid you not, it appears to be small enough for a doll house. That may be a slight exaggeration, but only slight. It's miniature! Anyone can see that! Who do they think they are fooling? Who would think toilet paper manufacturers would set out to bamboozle America? So what's YOUR favorite brand these days? While many of us live in areas where the ground still looks a bit like this. The thought of gardening is still in our minds and we begin to plan. 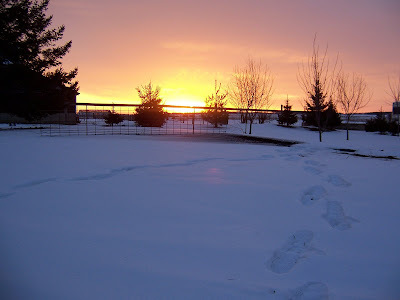 Something that I recall as I grew up was watching my grand parents and parents begin to plan the summer garden while snow was still on the ground. They would flip through the many books with the theme of gardening and soon the seed catalogs would begin to arrive The garden area stay resting beneath the slumber of snow and waiting a warmer day. 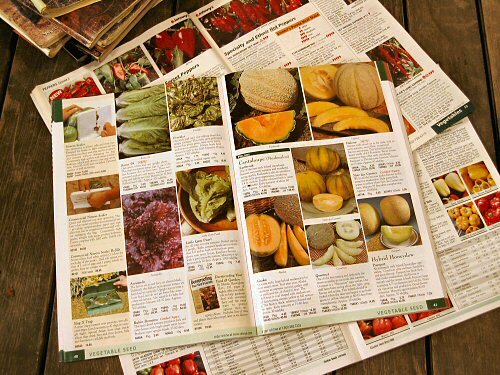 Whether it be peppers, tomatoes, melons, or even flowers if you are a gardener then you know how the process of planning the perfect garden goes. Catalogs that share pictures of plants, glorious definitions, and even recipes. As if the newest toy and gift catalog to children waiting Christmas morning is how I often feel as I glimmer through the pages. As excited as I was when I planted my first garden. While we wait we enjoy the bounty of last year. With jars of goodies sitting on the shelf of what was last years garden and is the winter bounty. We savor the taste and rethink the toils that we go through and wait til the coming summer when we again can get our hands in that glorious black or red soil and plant our goodies to be put on the table at harvest time. While the temperature of this week excite me as they warm up a bit more I know old man winter is not done and cold days will still be here. I believe I am not alone in the dreams that fill my days til the gardening season is here. I want to do it all have a bountiful garden like the generations before me. One of my all time easy and delicious dessert recipes. 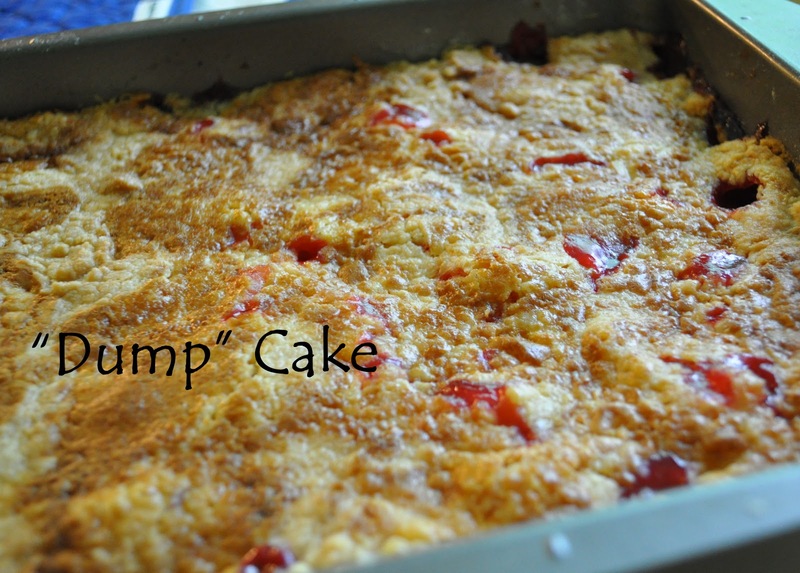 My mother first discovered this recipe when I was entering my teen years. I learned how to make it then and will soon be teaching Princess to make it as well. Dump all ingredients into baking pan and bake at 350°F. until brown, approximately 1 hour.Serving Size: 12.